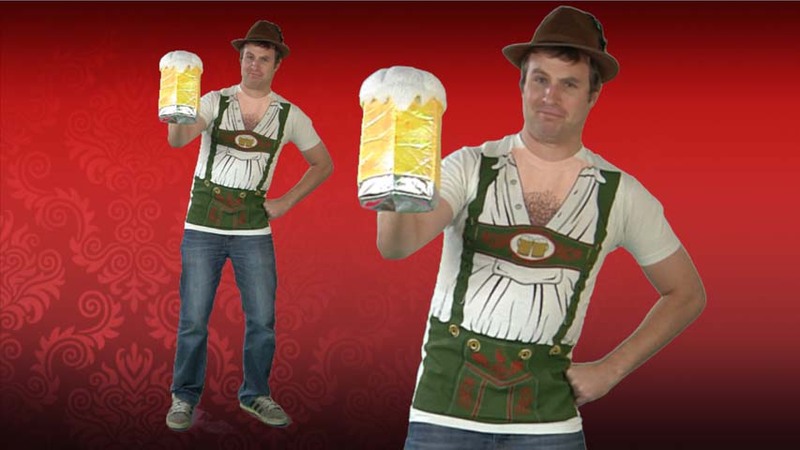 Wearing may result in a hankering for a brewsky or two! We suppose you could be extra careful around the food carts, and hold your frosty beer mug with both hands. 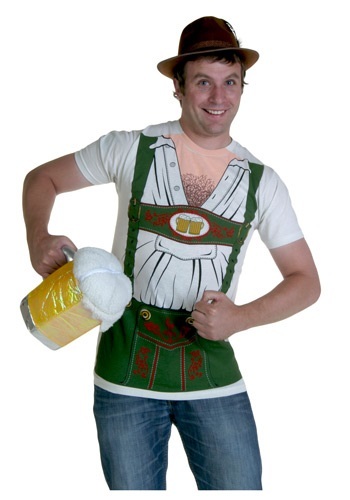 But the more fun solution is to simply wear this cheerful German Octobeerfest T-Shirt while you celebrate! This dashing cotton t-shirt comes complete with its very own traditional style German lederhosen printed right on the front, and even includes some manly chest hair. And if you do spill anything on it, you can just throw it in the washer and get right back to the festivities. Prost! Thought it would be a little bigger for the size.